A vital part of our curriculum is hands on training. Take a look at our students behind the scenes action with our instructors. Lights, Camera, Action! We snap pictures, we try on different styles of make up and we do it again. 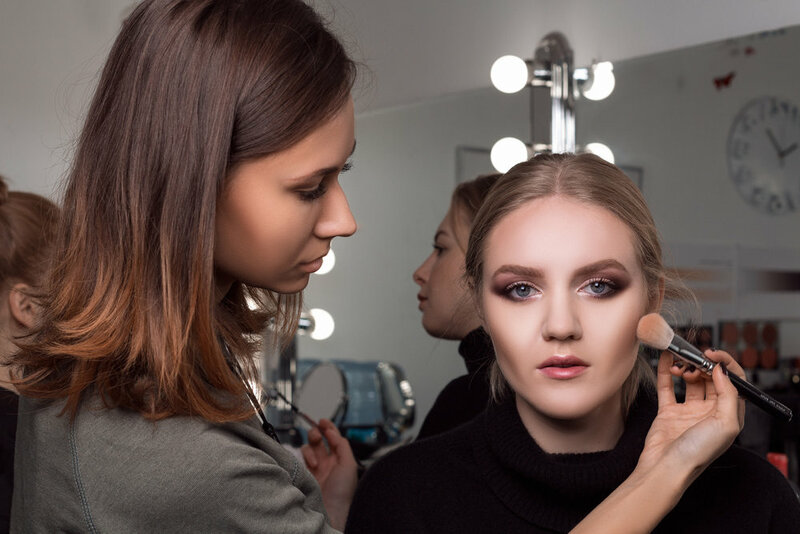 Here at Nina Mua, we want our students to not only learn how to perfect their skills in makeup but to also understand the field their trying to pursue. 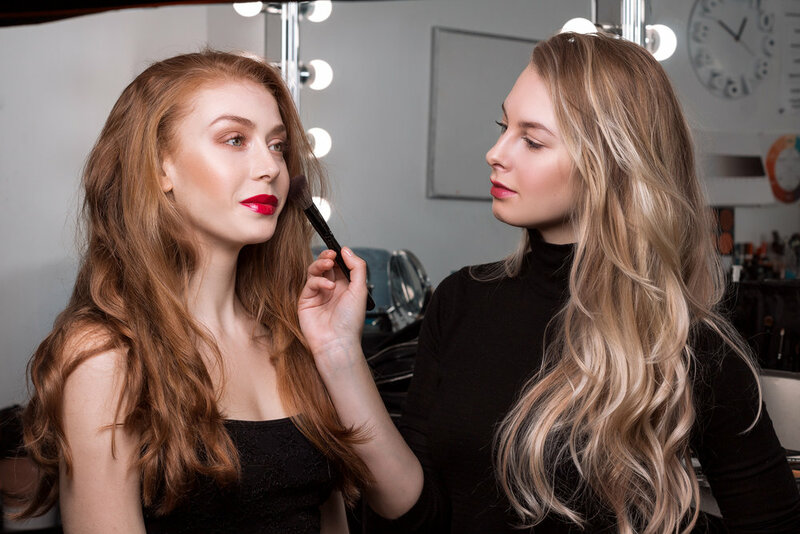 We try to show our students what it really looks and feels like to work on set with high end models or any client in need of a quick glamour session to simply do a photoshoot. 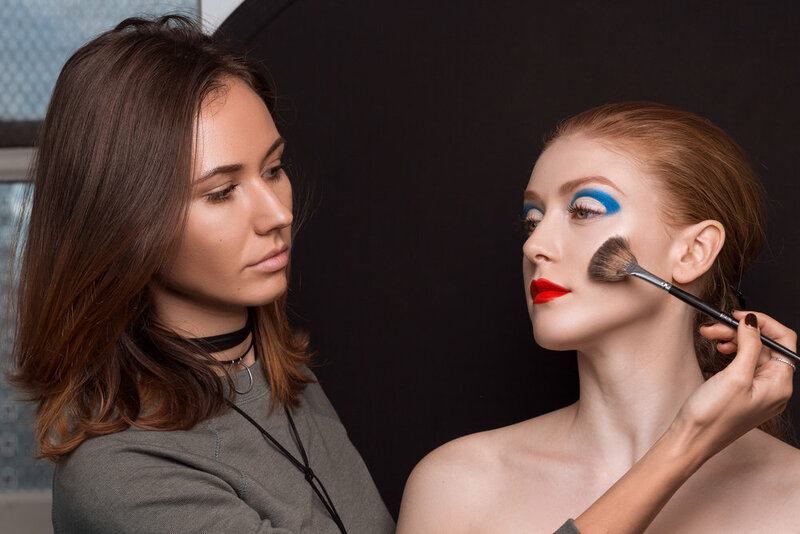 Yes, it is impossible to recreate the chaos we makeup artists encounter during Fashion Week or a Vogue Magazine photoshoot but we try our best to build an atmosphere chaotic but friendly enough to understand what happens behind the scenes at these major photoshoots and events. Our team here thrives on having the ability to personalize the attention we give our students. There is a reason why we choose to only have eight students maximum in each of our classes. We love people, the more the merrier! But we also know the importance of making sure our students get the one on one attention to ensure their success in this over crowded and ever growing field we all love so much. 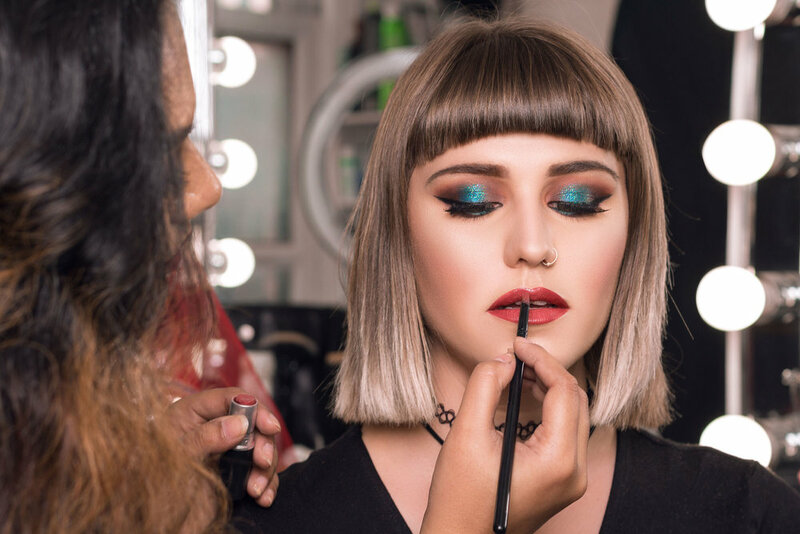 We want nothing but our students success, so being a part of Nina Mua does not end once you complete your program with us, we always remain in touch with you, through our newsletters, social media accounts as well as keep you informed regarding any freelance gigs and major events are school is requested to participate in. We are always thrilled to see our students skills develop through such a short period of time and the impact we have on their lives by being a small part of their larger goals. In summary, behind the scenes, we are an intimate, friendly and hardworking team handpicked and put together by non other than the founder herself, Nina Mua, with one goal in mind, your success!